It’s easy to get pre-occupied with the ultra-high-end of the hardware market, especially after being wowed by the dual-GPU beast that is the AMD Radeon HD 6990 4GB. After all, it’s where you’ll find the most outlandish and desirable products. In the real world, however, it’s the low-end cards that sell in the largest quantities, and which add the biggest wedge of cash to a company’s bottom line. It’s also important to retain some perspective; not everyone has a high-resolution screen, or wants to drop £200 just to play Shogun 2: Total War with all the graphics options maximised. 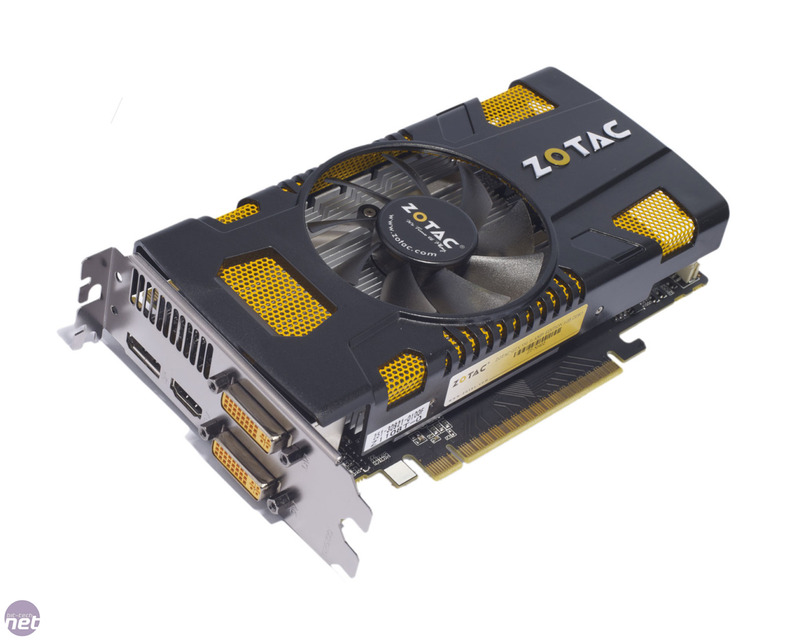 As such, GPUs such as Nvidia’s new GeForce GTX 550 Ti 1GB are vital in order to Hoover up the lucrative low-end market by offering a halfway capable GPU at an affordable £100 price point. This is the reason why the Radeon HD 5770 1GB is still going strong 18 months after its initial release. 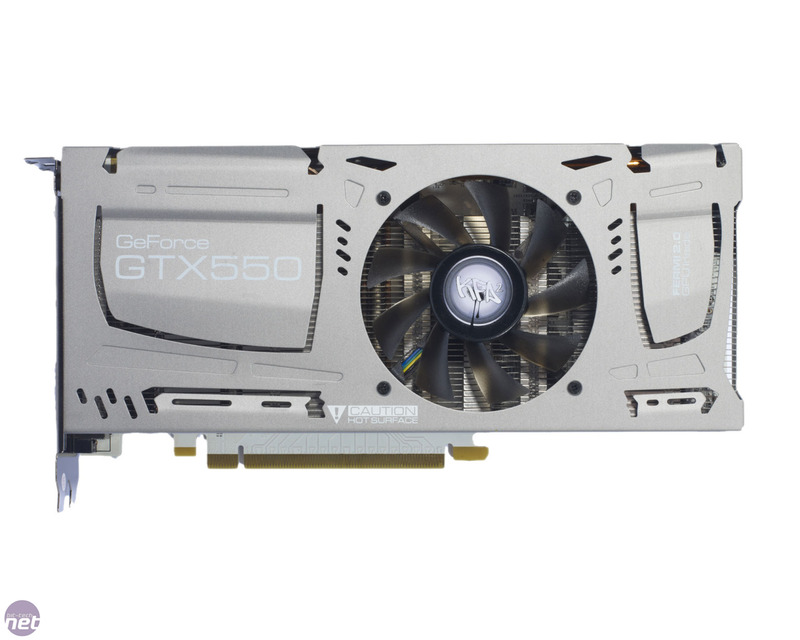 The GTX 550 Ti 1G represents the second time in just seven months that Nvidia has targeted the low-end, having released the GeForce GTS 450 1GB last September to a somewhat muted reaction. At the time, bargain-tastic price cuts to the GeForce GTX 460 768MB made a mockery of both Nvidia and AMD’s cheaper cards. GTS 450 1GB cards now cost between £80 and £95, while GTX 460 768MB cards are priced between £95 and £120. With an estimated price of £100, and with a leading retailer telling us it expects the price range of basic to premium GTX 550 Ti 1GB cards to be between £90 and £125, it’s clear which cards Nvidia is aiming to compete against. Nvidia has once again let the crazed branding monkeys out of their cages with the GTX 550 Ti 1GB, and has ditched the GTS low-end branding for the GTX branding of the rest of the high-end GeForce range. This is supposedly to designate the GTX 550 Ti 1GB as a gaming card, with the GTS branding now reserved for cards that really aren’t up to gaming duties. However, we can’t help but feel that the resurrected Ti tag, carried over from the GeForce GTX 560 Ti 1GB, is entirely superfluous and adds unnecessary confusion. As with the launch of the GTS 450 1GB last year, Nvidia has been very open with regards to its board partners and designs for GTX 550 Ti 1GB cards. While there is a reference board, measuring 21cm (8.25in) long and fitted with a dual slot cooler, we understand that almost every manufacturer will launch with its own variant of the card. For the launch, we were sent a pimped-out KFA2 GeForce GTX 550 Ti White and a slightly more sedate Zotac GeForce GTX 550 Ti Amp! Edition. AMD takes on the GeForce GTX 550ti with its latest mid-range GPU. AMD claims the Radeon HD 6990 is still the performance king.